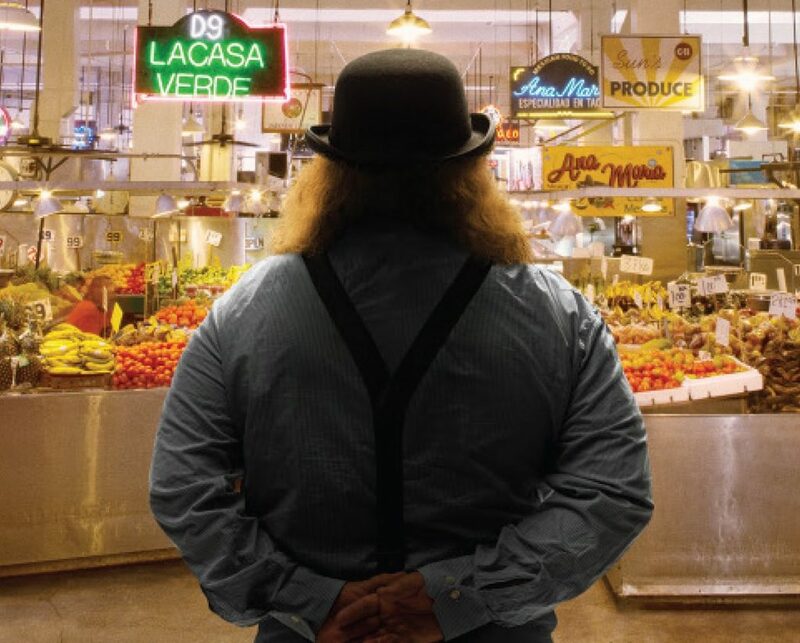 Los Angeles Times food critic Jonathan Gold is practically synonymous with eating in LA. Over the past three decades the native Angeleno’s epicurian adventures and love for the culinary underdog have set the gold standard for contemporary food writing, and he’s put the city on the map as one of the world’s premier foodie hot spots in the process. Like most food critics, Gold has striven to keep a low profile, but avoiding the spotlight hasn’t been easy – he became the first food critic to earn a Pulitzer Prize in 2007, and in 2015 he was the subject of City of Gold, an acclaimed documentary by director Laura Gabbert that left film festival audiences wanting seconds. 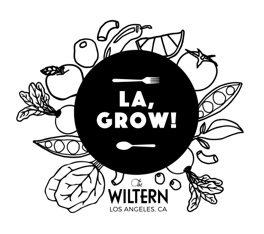 LA fans hungry for things to do are in luck – on Sunday, October 2nd LA, Grow! and the LA Times present City of Gold and Q&A with Jonathan Gold, a night of film, food, and frank conversation with the Goldster himself at The Wiltern. LA, Grow! is an annual benefit presented by The Wiltern and members of the community focused on promoting access to healthy food, and partial proceeds from the screening will benefit Food Forward, a produce recovery organization that rescues fresh produce that would otherwise go to waste. The evening ends with a tasting party featuring some of Gold’s favorite LA restaurant eats — it’s sure to hit the spot. Restaurants include: Rustic Canyon, Squarefritz, Pasta Sisters, Kye’s Montana, Pirozhki, Edibol, Guelaguetza, Salt And Straw, Mapo Galbi, Jitlada, Lalibela, and more. We caught up with Gold this weekend (between meals, of course) to talk about the film, his path from music critic to food writer, his love for LA, and so much more. He even served up a list of food recommendations near The Wiltern for fans heading out to the screening or an upcoming show – dig in below! Ticketmaster “TM”: First things first – what have you eaten today? Jonathan Gold “Gold”: I haven’t had lunch yet, but I had breakfast, which consisted of a cortado at the G&B concession in the Grand Central Market, and a croissant from Clark Street Bread – a very good croissant. TM: You studied art and music at UCLA – how did you end up writing about food? Gold: It was sort of by accident. I’ve always been interested in food, and it was actually while housesitting for a Musicology professor named Fred Hammond that I discovered [food writer] Calvin Trillin. You get out of school and you assume those commissions are going to start rolling in, and then they don’t. So I started working at the LA Weekly as a proofreader and I ended up writing their classical music reviews because nobody else was even mildly interested. And at an editorial meeting after I’d been there a year or so, Jay Levin, who is the owner of the paper, asked if anybody wanted to take a shot at editing a restaurant issue. And I raised my hand because I figured at least I could take my friends out to eat for free. And I turned out to be good at it. It’s strange – a lot of the approach I took to writing about music, and especially classical music as opposed to rock and roll, turned out to be perfectly applicable. I got a restaurant column there called Counter Intelligence, and within a few weeks of starting it I got calls from Harold Hayes at California Magazine, who had been my absolute hero – he was the editor of Esquire in the ’60s – and Ruth Reichl, who was the food editor at the LA Times and wanted me to start writing Valley restaurant coverage for her. And from then on I still wrote about music, but food was a huge part of what I did. TM: You mentioned you found parallels between writing about music and food – what are some of those parallels that helped you crossover? Gold: Part of it is a means of talking something that is highly abstract and giving it meaning to a reader, making them feel like they can hear it, or feel it, or taste it, or feel that they’re in the room. And food writing and music writing both have a trillion clichés, and if you know the clichés you can sort of play with them and tweak them and make them into something that people think they’ve read before, but they haven’t read before. It becomes this thing that’s running in the back of their head, and they don’t even know it’s there but you put it there, and then you can be writing about food but really you’re writing about something else, or you can be writing about music but really be writing about something else. TM: Since we’re talking music and food, what’s your take on music in restaurants? Does it enhance the meal or distract from the food? Gold: A funny thing lately, in the last year or two, is the habit of fairly high-end French restaurants playing classic gangster rap like Dre-era stuff, but at a volume low enough that you’re not really hearing the music, all you’re hearing is the beat and single-finger keyboard stuff, and it actually works really nicely – it’s propulsive. But it’s not often that I’m in restaurants where I hear music that I’m really happy to be hearing. Maybe it’s because I spent too much time as a music critic. And in terms of live music in restaurants, unless you happen to revive Ella Fitzgerald and have her singing the Cole Porter songbook – maybe I’d like that. This may be pretty specific to me, but it’s difficult for me to just hear music – I listen to music. I can’t have music on when I’m writing, because if I hear a really awkward bit of voice leading in the background, I just wince [laughs]. TM: You get hit up for restaurant recommendations all the time, but what about music recommendations? Any longtime favorites or new discoveries you want to share? Gold: No, probably not. It’s strange because I wrote about it for so long and people assume that I’ve kept up on it, but when I stopped writing about pop and hip hop twenty years ago, I haven’t kept up as much as I probably should have. Sometimes it’s funny, because if you lead a usual online existence you’ve probably read hundreds of thousands if not millions of words about Taylor Swift. And sometimes you don’t even know what she sounds like. And then you intentionally go listen to it and realize, oh, this stuff has been on in the background for the last year and a half. And nobody wants to hear from me that they should go hear the Emerson String Quartet playing Shostakovich – that’s definitely not what they’re expecting. TM: Your Counter Intelligence column in LA Weekly and later the Los Angeles Times eschewed gourmet eateries in favor of hole-in-the-wall neighborhood restaurants often located in strip malls. What motivated you to chronicle the culinary underdog? Gold: Well, I never stopped doing the high-end places either, I’ve always done those too. But the other kinds of restaurants are fascinating, and I’ve always gravitated towards them. Sometimes – often – the food is better and more interesting than it is at the place that cost $350 on your credit card. Especially in Los Angeles, which is a center of world immigration and geographically set up so communities tend to be pretty much self contained, you find a lot of restaurants where people in communities are cooking for each other. It’s not even just Chinese people cooking for Chinese people. It’s people from Dongtai [region in China] cooking for Dongtai people. You have people that refuse to go to a restaurant that isn’t owned by somebody who speaks Cantonese. You have such a huge profusion here of Taiwanese-style street food, for example, or Korean small eats. TM: Are there any foods you consider to be quintessentially “LA,” or any dishes or cuisines LA does better than anywhere else? Gold: There is sort of this sunny, Californian, vegetable-centered, seasonal farmer’s market-oriented cooking that seems to shine through here better than it does anywhere else. The heavy Mediterranean influences, the fact that we’re the center of a big and delightful growing region, the fact that we’re temperate, the fact that we’re next to a sea – a sea that’s pretty much been fished out, but a sea nonetheless. There are obviously trends from here that have spread all over the world. Casual fine dining started at [Wolfgang Puck’s] Spago, and it has become by far the dominant paradigm in restaurants of this type around the world. The Cobb salad was invented here, and that seems paradigmatic of something. The Cesar salad was invented in Tijuana, but the guy who invented it moved to LA about 30 seconds after he came up with it [laughs], and it was definitely popularized here. TM: You’re dedicated to promoting the city’s best eats, but it’s not all gravy all the time – does LA have any culinary shortcomings or blind spots? Gold: I’m not sure it’s a blind spot, but the top-end fine dining tradition has more or less vanished here. In the early ’80s, practically every fancy restaurant in town was French. And Wolfgang Puck, who was one of the two or three best French chefs in town at the time, opened Spago as a trattoria, a sort of casual hang-out for chefs. It became a place where you didn’t have to dress up, where you could order pizza, pasta, and salad, and where the wines were predominantly Californian and you could pronounce them [laughs]. And the price level was not low, but it was probably about half of what you’d be paying at the French power players at the time. And people realized, wait a second, this is the place where I really want to go, this is the place where I’m actually going to see celebrities – why would I want pay twice as much money to be uncomfortable and eat foods that I’m not sure about at these other places? And one after another, the French places started to wither. So there’s that tier of restaurants that New York has – La Bernadin or Danielle, or Per Se or Eleven Madison Park, or Jean-Georges, which is absolutely brilliant – that are doing that kind of 400-people-in-the-kitchen cuisine. And by 400 I mean about 70. And nobody in LA does that. I mean nobody in LA does that. TM: You’ve lived in LA most of your life. What keeps you rooted here? Gold: Yeah, I love LA. It’s where I am. I vibrate in its frequencies. It’s funny because it’s the center of the entertainment industry and so many of my friends are involved in that, but I’ve never really worked a day doing that. So it’s funny to suddenly be in City of Gold and be on the circuit and be at places like Sundance. 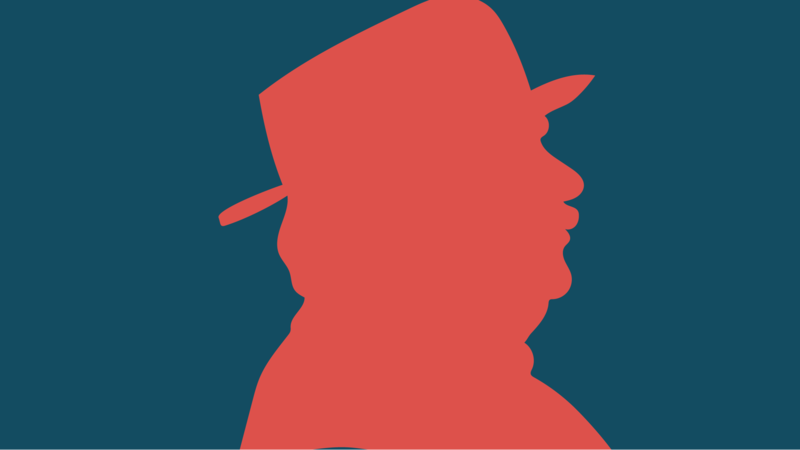 LA Times presents City Of Gold + Q&A with Jonathan Gold on Oct 2, 2016 at The Wiltern in Los Angeles. Get Tickets. TM: Speaking of the film, how does it feel to be showing City of Gold – basically your love letter to Los Angeles – at one of the city’s iconic venues, The Wiltern? Gold: Yeah, it’s nice. It premiered here at the Million Dollar Theatre, which is another iconic LA venue that I love, but I remember going to The Wiltern as a kid. They used to have these four-bills where they’d show four movies – one of them would be a kung-fu movie, one of them would be a horror film, one would be a Hollywood comedy, and one would be Blaxpoitation or something. It was just a great mix, super rowdy, and people would yell at the screen. I have really fond memories of going there to see horror movies. TM: You’re all about lists – can you give us a few of your top Koreatown picks for places to eat near The Wiltern before fans see City of Gold? Gold: Gwang Yang is a newish place. It does the best bulgogi I think – definitely the best in Koreatown, probably in the US too. Park’s BBQ is another great BBQ spot, the quality of the meat that they get is just a cut above anybody else. Kobawoo House is another classic. They’re great for Korean pancakes. They do a really great version of what might be my favorite Korean dish, which is bossam. It doesn’t sound good – it’s boiled pork belly with sliced daikon and shreds of cabbage to wrap it in with different pickled condiments they provide, but it’s such a good dish. Jeon Ju has absolutely wonderful bibimbap. Ham Ji Park for pork neck stew and barbecued ribs. For non-Korean, Guelaguetza is great. TM: From the trailer, it looks like there are several restaurants you “put on the map” – sometimes saving them from closing their doors. How does it feel to hear those stories from the people you’ve helped or inspired? Gold: There’s this firewall between chefs and critics – I don’t actually hang out with them socially. So for a lot of those stories, Laura Gabbert [director of City of Gold] went in and filmed them as B-roll stuff, and then the chefs were telling her this stuff that was just beautiful. She thought she was just doing kitchen shots, and then that ended up being a big-ish part of the movie. I didn’t know a lot of those stories before, so that was really interesting, but I can’t let that stuff affect me too much. Any more than a film critic can worry about whether a good review will mean a movie is going to play for two more weeks and the director can pay off his mortgage. I mean, hearing those stories is nice – it’s really good, it’s great – but it’s not why you do it. TM: On the flip side of that, a bad review from you can mean hard times for a restaurant. Is that something you think about when writing an unfavorable review? Gold: Unfortunately I’ve closed enough restaurants that I probably think about it a little too much. With a certain kind of restaurant, I’ll probably just not write about it instead of writing a bad review. I know in London especially it’s a blood sport, and people compete to find the worst restaurants to find the worst review of, because it’s funny and people like it. I used to think it was a blood sport when I was younger, and I have less taste for it now. It’s not like I don’t do bad reviews. I wrote the first – I think the first – negative review that Gordon Ramsay has ever gotten of anything. It was mean enough that they did a story about it on the front page of The Independent in London. I did a Q&A at the Museum of Modern Art where the guy led off the talk by saying that I’d gotten him fired from his job. I think he was the manager of a restaurant at a hotel on the Sunset Strip, and I actually said on the stage, “That place was just terrible.” And it was. TM: The movie shows some of your efforts to remain anonymous before a review – using burner phones and making reservations under fake names. There’s even rumors that you’ve worn disguises when reviewing places. Why the secrecy? Gold: I’ve never worn a disguise. I mean, I’m pretty distinctive looking. And even when my face wasn’t generally known, because I’ve done radio for so long people would hear my voice at the farmer’s market and do a double take. But the idea of anonymity in reviewing restaurants is largely – I don’t want to say a con, but it’s an illusion. Almost every major critic in a town is known within a few months of getting there, and there’s just nothing you can do about it. When I moved to New York to be the critic at Gourmet I knew exactly the day when I was figured out. I was at [Mario Batali’s] Babbo not long after it opened and I could only get a 9:30 reservation, but I was going there with a friend from the magazine who wanted to eat earlier so she pulled strings for an earlier reservation. They saw me with her, and starting the next day all the major restaurants in New York knew exactly who I was. But I came out on the front page of the LA Times a couple of years ago just saying that the dynamic had basically become me pretending not to notice them, pretending not to notice me noticing them noticing me. It was just so weirdly meta, nobody had any idea what to do. I still reserve under different names and I tend to show up a few minutes late. And when I think that they don’t know who I am I’ll pay with a credit card under a different name. But that gets too weird. TM: I saw that you ride the bus regularly, which is probably unusual for such a noteworthy writer. Is public transit important to you? TM: We always like to ask people about their favorite Emoji. The selection of food Emojis is pretty limited – are there any you’d like to see added to the repertoire? Gold: I had been yearning for an Emoji for cheese, which they didn’t have forever. My friend Emily Naismith who writes for a magazine in Melbourne does this brilliant blog of Emoji food reviews, where she reviews restaurants using only Emojis, and then there’ll be a few paragraphs underneath where she sort of explicates everything. And her workaround for cheese was so baroque and elaborate, I think it involved cows and farmers and bottles. But they’ve added cheese now. My friend Jennifer Lee has been working to get them to adopt an Emoji for dumplings, and I think that’s good. I could stand behind an Emoji for dumplings. Don’t miss this unique opportunity during the weekend to see City of Gold, chow down with Gold himself, and support conscious growing and access to healthy food with LA, Grow! and Food Forward on Sunday, October 2, 2016 – pick up your tickets today. Interview was originally released on Friday, September 16, 2016. Updated on Monday, September 19, 2016.